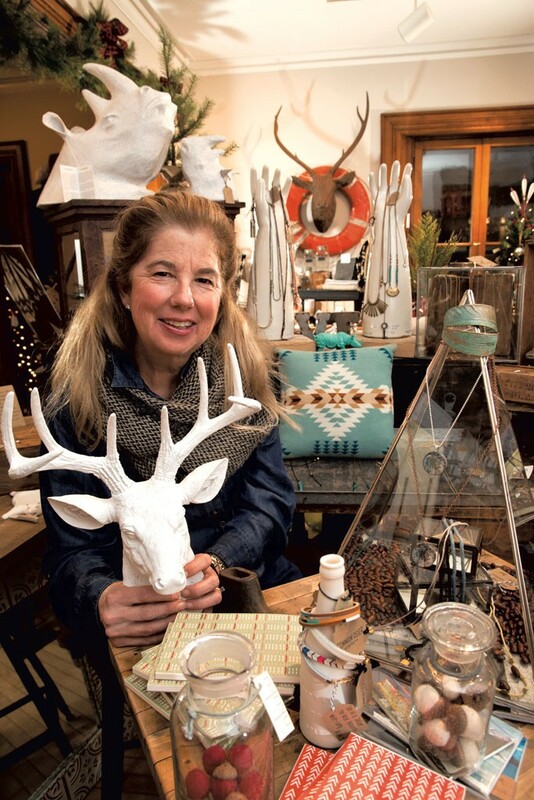 Tucked into the first floor of a stately brown house on Route 7 in Shelburne Village, the locally owned boutique Common Deer offers a bounty of little luxuries. The wooden shelves and tasteful antique display cases are artfully stocked with handmade jewelry, artisan-crafted cards and posters, backpacks, blankets, and other home goods. What do these items have in, well, common? They're "awesome things that make us feel good," according to the store's website. Not to mention the owner's preference for good design, quality and responsible manufacturing. "It's got to catch my eye, catch my attention," says Sharon Beal. "I try to get things that are not everywhere else." And where in northern Vermont can shoppers try on various styles of wood and acetate eyeglass frames by Shwood, an Oregon-based company, or whiff the delectable forest scents in We Took to the Woods artisan candles? Those on the hunt for decorative home items can peruse a carefully curated collection of Pendleton throws, Woolrich blankets and Satchel & Sage pillows. Jewelry lovers will find an array of unique options: brass heart necklaces, braided leather cuffs, delicate golden studs in a variety of shapes and forms. The shop also custom-orders charms that contain tiny maps of Burlington, Shelburne, Malletts Bay and other nearby locales from Maine-based Chart Metalworks. 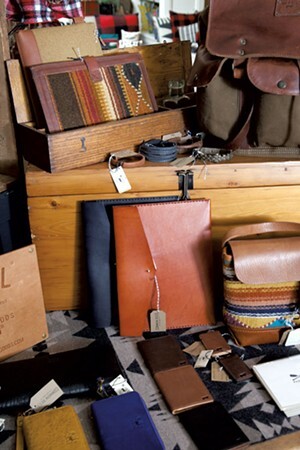 Unlike many boutiques with a feminine "rustic chic" aesthetic, Common Deer has plenty to offer guys, too: sturdy leather-and-waxed-canvas bags by Peg and Awl (some of the straps are reclaimed World War II gun slings); butter-soft wallets and briefcases by Will Leather Goods; shaving cream by Ursa Major; and a handsome assortment of silver flasks. Surprisingly, Beal says, one of the most popular spots in the store is the front counter. That's where she keeps racks of greeting cards. Some bear sassy messages ("East Coast Girls Are Hip"). Others are simply precious ("Just because ... I miss your face," in antique type). All have been selected because they prompted a smile from the owner. Beal's dedication to detail extends to gift-wrapping, too: Gifts purchased at Common Deer are wrapped in a delicate burlap sack and tied with a bright-blue ribbon. Aside from offering eclectic inventory, Common Deer is a store on a mission. "My goal is to support designer-makers here in the United States," Beal says. "I'm a business broker by trade, and unfortunately there is a lot of business and a lot of manufacturing going out of Vermont, that's going out of the U.S.A. I wanted to do something about that." She and her husband, John Beal, own and operate Vermont Business Brokers. Sharon, with her family's support, launched Common Deer as a seven-day-a-week side project in October 2013. It was her personal attempt to keep consumer dollars at home, and to support designers. That's why very few of the items at Common Deer are mass-produced, and most are made in North America. (There are also some fair trade offerings from international vendors.) "I try really hard to work with new designer-makers that are up and coming," says Beal. "I like working with all of these very talented people who are making crafts and making a career out of it, supporting their families doing this," she adds. "You know, when I call up these vendors, the dogs are barking, the kids are screaming in the background; [many are] doing it out of their barn or out of their home." after just one year in business, Common Deer has developed a loyal local following, Beal says, and her two adult children assist with social media and website maintenance to maximize the store's online reach. "We're a team here," says Beal. "It's been my dream for a very long time, but it could not happen without that support." Her kids and husband, as well as her young staffers, are also constantly suggesting new product lines, she says. John Beal also repurposes antique home items to sell in the store. While some might find Common Deer's selection to be on the higher end (although many small items are under $20, and the store's website offers a helpful "under $50" feature), the owners suggest on their website that "cheap is actually quite expensive in the long run." "It's not easy to compete with the import price point," Beal acknowledges. "It's very difficult. But every day, I'm in here telling people, 'Think about what you buy. Just give some thought to what you buy, about where it's made, how it's made and who made it.'" The original print version of this article was headlined "Homegrown Goods"